The Club have a number of special events planned for 2019, their sesquicentennial year, an honour they share with Royal Liverpool GC and Stirling GC. In recognition the Club will be hosting County, Regional and National events, the highlight being the England Senior Home Internationals in September. Alnmouth Golf Club, Foxton Hall overlooks the splendours of both Foxton and Alnmouth Bay on the Northumberland coastline in a designated area of outstanding natural beauty. It is widely regarded as one of the finest golf courses in the North East of England. Established in 1869, steeped in history, Alnmouth Golf Club is the 4th oldest golf club in England. Although the course has a coastal location it has parkland turf and a reputation for the fine quality of the greens and superb presentation. Recently chosen as one of the Top 100 Hidden Gem golf courses in the UK by Golf Monthly magazine, we are a private members club with active Mens and Ladies sections, friendly clubhouse atmosphere and a strong junior section. Visitors are always given a warm Northumbrian welcome at Alnmouth where we have a wonderful golf course, first class practice facilities and a beautiful Clubhouse. 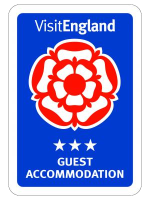 A special feature of "Foxton" - as we are generally known - is our 26-bed Dormy House on the first floor of the clubhouse offering hotel accommodation at Visit England 3 Star rating, to groups of visiting golfers in very comfortable twin or single rooms with en suite facilities. We offer a full range of "Stay and Play" golf breaks for groups, couples or singles with golf here at Foxton or a choice of the best golf courses in Northumberland.